The Honda Civic Hybrid, the first mainstream gasoline-electric hybrid vehicle sold in North America, enters its third year on the market as a fuel economy, emissions and advanced technology leader. 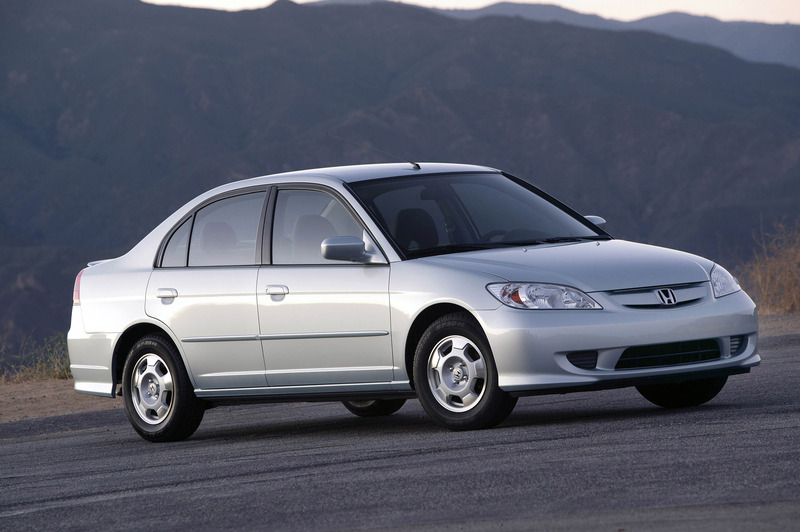 Honda led all other automakers in consumer registrations of hybrid vehicles in calendar year 2003 with 23,048 Civic and Insight hybrid vehicle registrations combined, according to registration data released by R.L. Polk & Company. 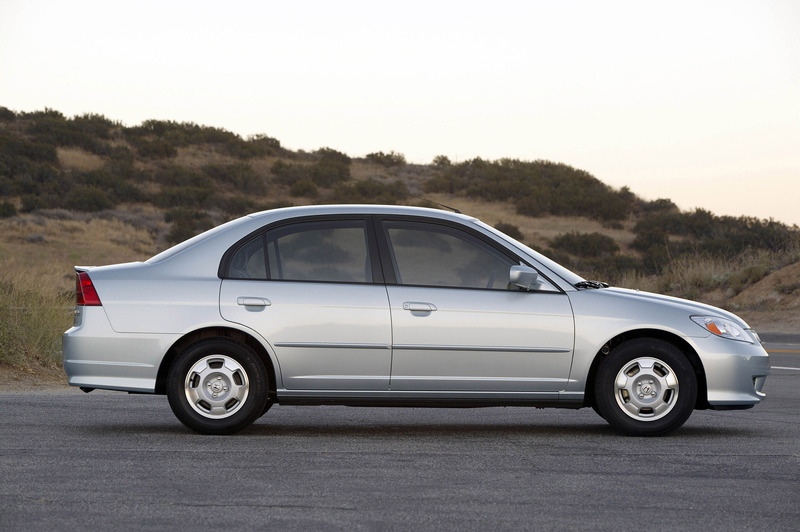 The Civic Hybrid alone accounted for half of all hybrid vehicles registrations in 2003. According to R.L. 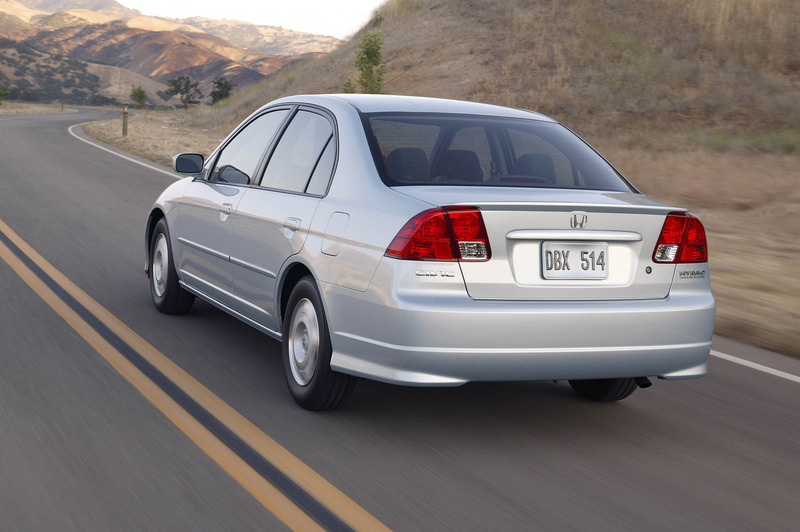 Polk data, national hybrid vehicle registrations rose 25.8 percent in 2003 versus 2002, while Honda Civic registrations doubled. 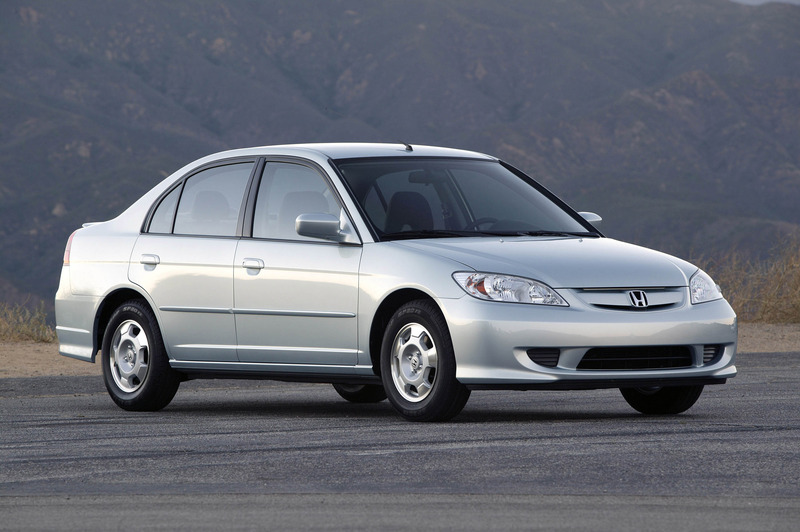 The Civic Hybrid's amazing fuel economy remains unchanged for the 2005 model year. The Hybrid CVT ULEV has earned an EPA city/highway rating of 48/47 mpg. 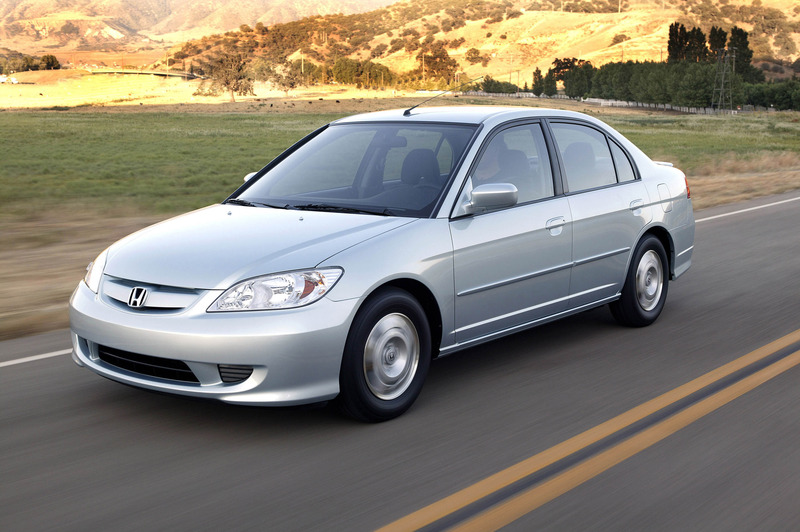 By the same measure, the 5-speed manual achieves a city/highway rating of 46/51 mpg. Both models have a range of more than 600 miles. 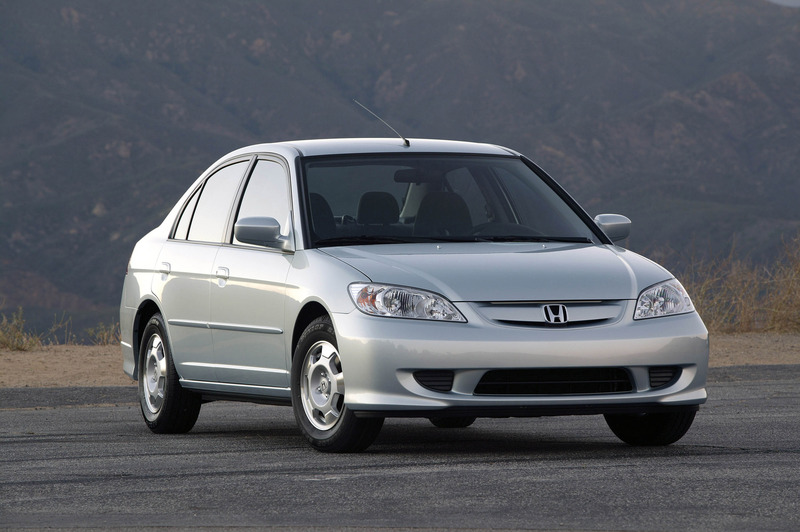 Civic models sold in California and certain northeastern states qualify at Advanced Technology Partial Zero Emissions (AT-PZEV) vehicles. 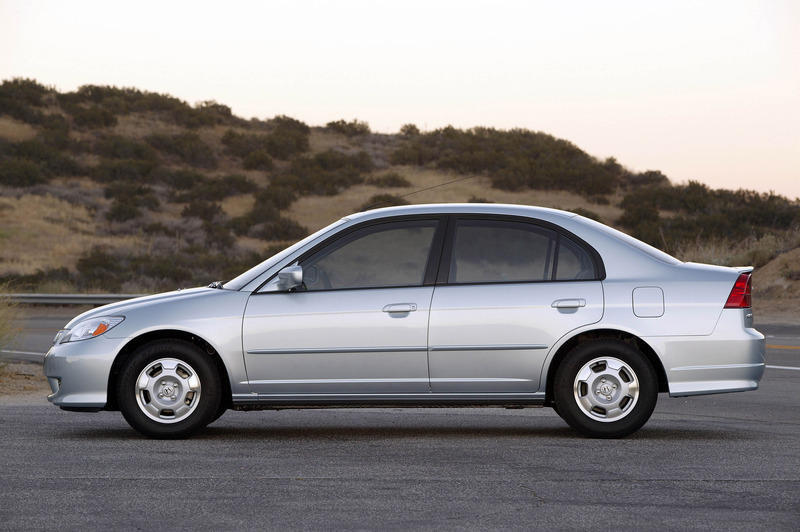 The Civic Hybrid uses Honda's innovative Integrated Motor Assist (IMA) technology, employing a 1.3-liter i-DSI 4-cylinder gasoline engine coupled with a high output electric motor to provide excellent performance and fuel efficiency. The system's compact nickel-metal hydride battery module is automatically recharged during braking and deceleration. The hybrid system provides up to 93 horsepower and 116 lb-ft of torque with the electric motor "assist." 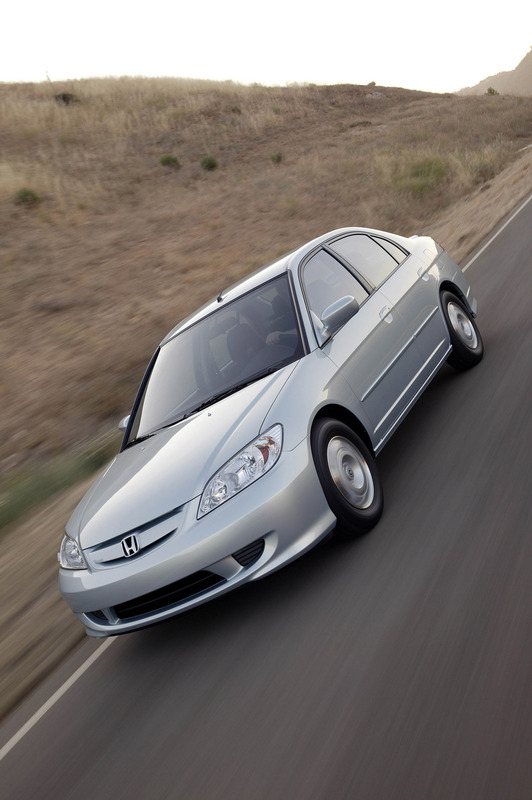 Fuel economy is improved by up to 30 percent compared to other Civic sedans. All this is achieved by the hybrid powertrain while still meeting the stringent AT-PZEV standard. 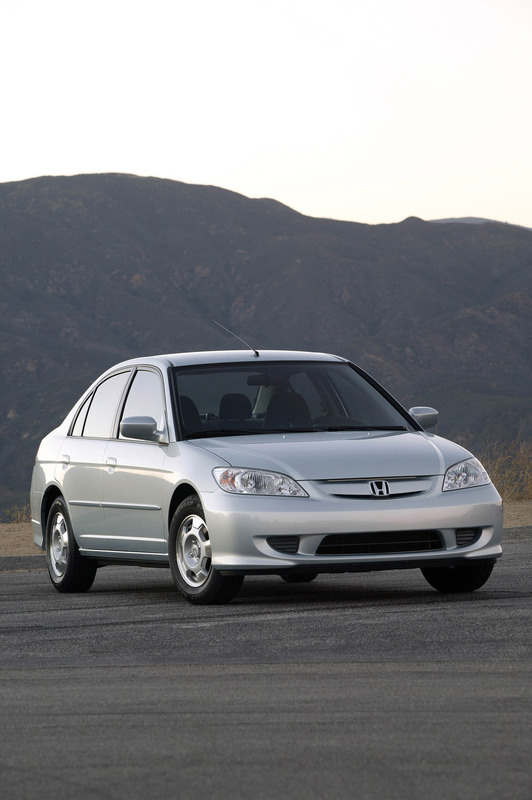 The Civic Hybrid comes equipped with a long list of standard features including power windows, door locks and mirrors; cruise control; Immobilizer anti-theft device; dual stage, dual-threshold driver and front passenger air bags; and a tilt steering wheel. 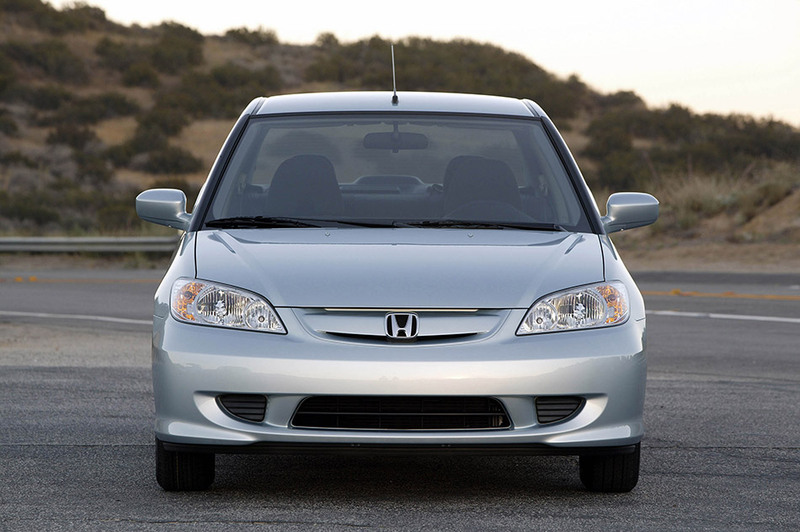 For 2005, the Civic Hybrid adds a new exterior color: Eternal Blue Pearl. 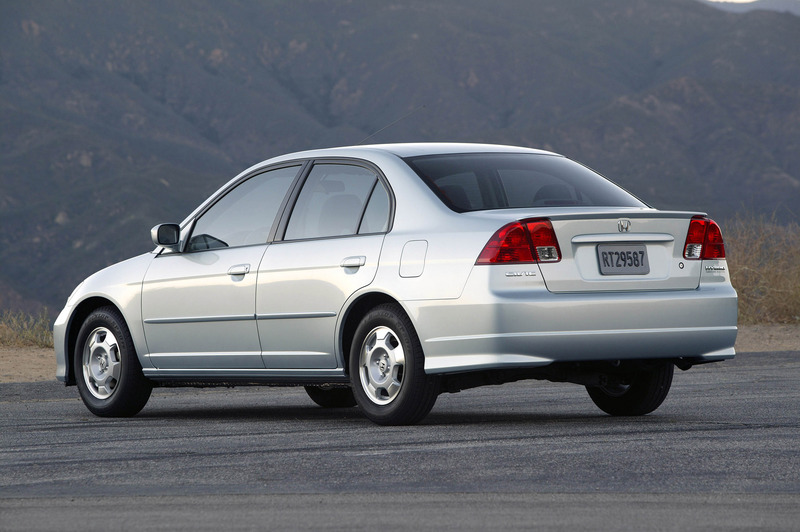 Honda was the first automaker to introduce gas-electric hybrid technology to American consumers when it launched the Honda Insight in December 1999, followed by the Civic Hybrid in March 2002. 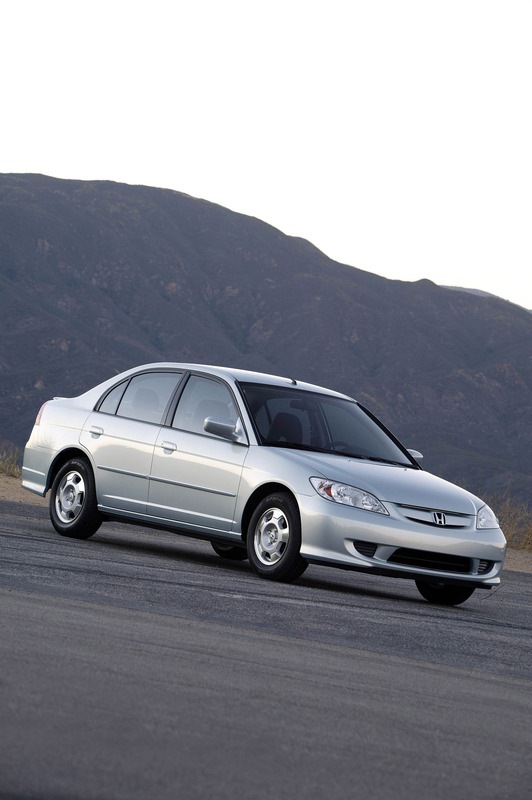 Together, the Insight and Civic Hybrid captured four of the top five slots in the 2004 EPA fuel economy ratings. 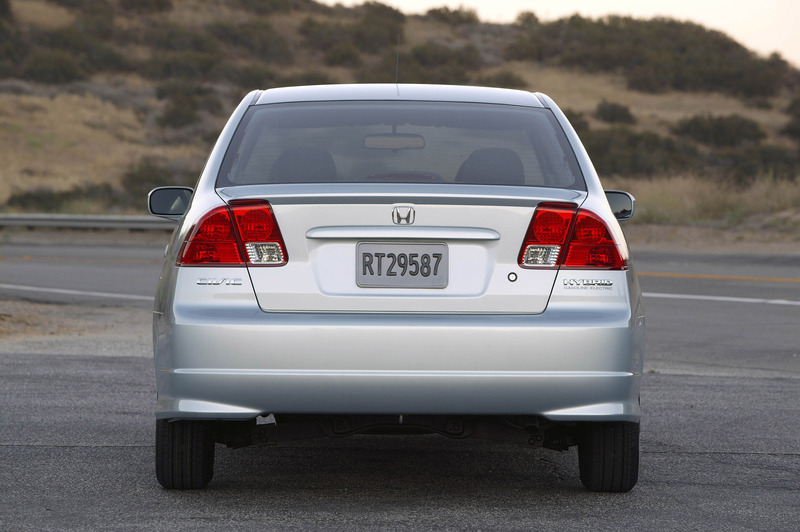 The 2005 Honda Insight has earned the highest EPA fuel economy rating for any passenger car for the fifth consecutive year. 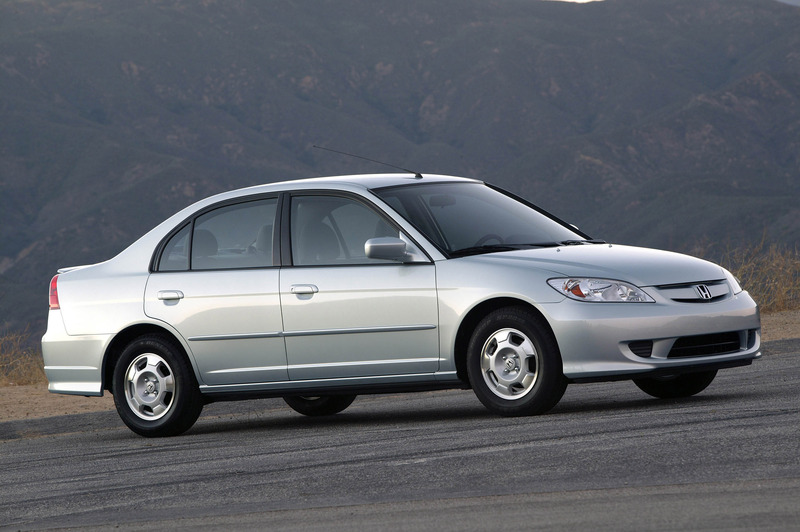 The EPA rates the Honda Insight city/highway fuel economy at 60/66 mpg and the Civic Hybrid city/highway fuel economy at 46/51 mpg (manual transmission models).